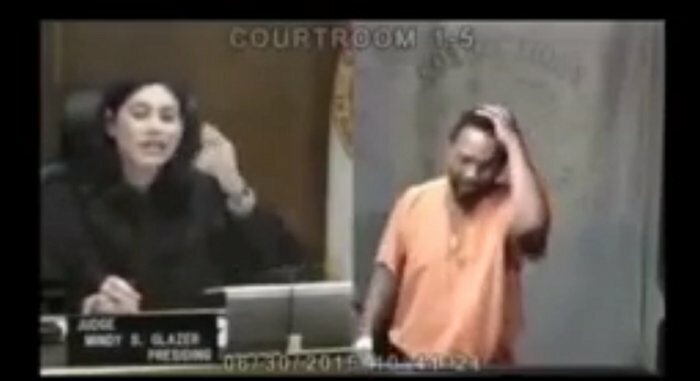 Awkward Reunion: Judge Recognizes Suspect As Her Middle School Classmate - 2NGAW! Attending a school reunion is always fun. You get the chance to catch up with classmates and friends you haven’t seen in years. You will likely talk about a lot of random things from family and career, to many other interesting topics in between. This recent news posted by Rare.us, however, is a different case. This story was an emotional reunion that was more awkward than joyful. Wearing an orange jumpsuit, Arthur Booth stood in a court room for a hearing. He was arrrested for burglary and now he needs to answer for his wrongdoings before a judge in South Florida. He definitely did not see that coming. The suspect can only say “Oh, my goodness” as he recognized his former classmate. He laughed in disbelief then the laughter soon melted to sadness and then tears as he realized the awful situation he was in. Perhaps Booth looked back and realized how he walked a different path in between all the years he has not seen his classmate. Imagine the wasted potential of this guy considering he was “a scholar, well-rounded athlete, bilingual” back in the days as shared by Melissa Miller, his cousin. Booth is now a father and a grandfather with burglary and grand theft charges with a bond worth $44,000.